So, I just want to start off by saying that I almost threw up when I started going through my TBR and saw all of the books I have on my kindle that I haven't read yet. It may finally have sunk in that I have a one-click addiction and a book buying problem with Amazon. A few of these are upcoming releases that I absolutely can't wait for but most are books I already have that I have been wanting to read for quite a while and just haven't gotten to yet but hope to this fall. 1. After Math: I have had this book and been eyeing it for a while. I also got to meet Denise at a signing and got a signed copy. I am determined to finally read it in the next month. 2. 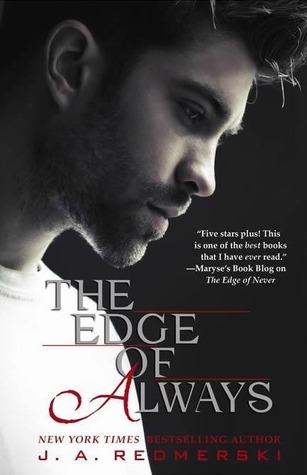 The Edge of Always: The Edge of Never is one of my favorite books for the year so I am super excited to read the second book when it's released. 3. Faking It: I have this book, on my kindle and in signed paperback. Cora is awesome and I loved Losing It. I can't believe I haven't read this yet. 4. 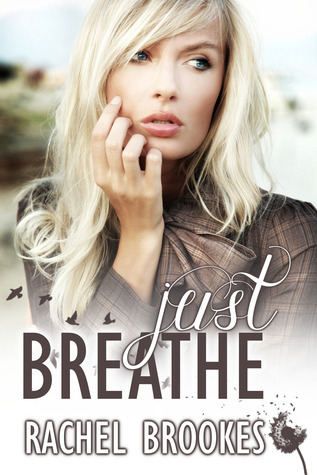 Just Breathe: I have heard so many amazing things about this book. I picked up a copy on release day and I am excited to finally read it soon. 5. 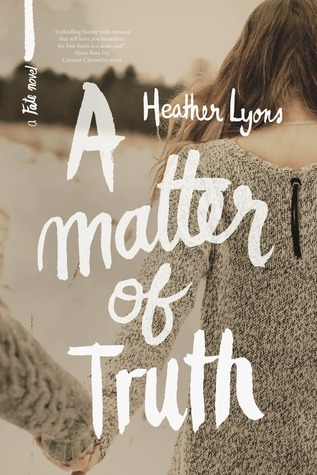 A Matter of Truth: My blogging bestie, Jessica @ Lovin Los Libros got me hooked to The Fate Series and I am dying with anticipation for the 3rd book to come out. 6. The Distance Between Us: I absolutely loved Pivot Point and when I saw that Kasie had written another book, I had to pick it up. Now I just need to read it. 7. 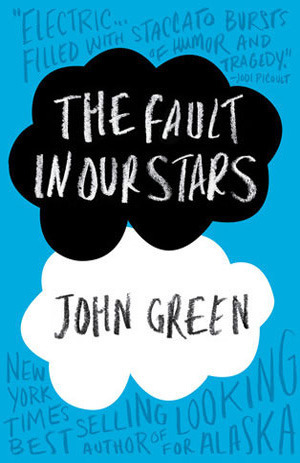 The Fault in Our Stars: I know, I can't believe I haven't read this one either. I have to admit, I'm kind of scared because I know I'm going to cry like a baby. 8. Allegiant: I definitely need the conclusion of the Divergent Series. I can't wait for this to be released. 9. Cinder: I have started this book but things have just got in the way and I haven't been able to finish. I have heard great things so I really want to power through and finish it. 10. 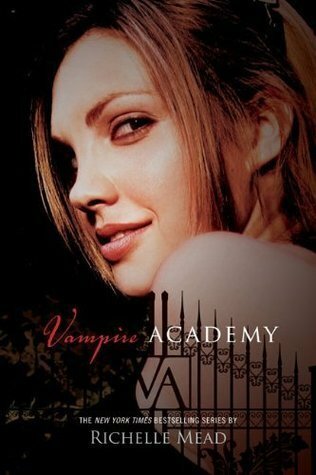 Vampire Academy: So Vampire books are hit or miss with me and I am always hesitant on them but many of my blogging besties have raved about it so I need to give it a shot. Now the tricky part, to actually read all of these books this fall. Getting through 10 books is not an issue, it's finding time in my schedule to fit all of these ones in. Plus, I am easily distracted when it comes to books. I know the feeling about that tbr and the more ttt lists I look at today, the more books I realise I left out of my list! I forgot The Edge of Always will be out, I can't wait to read that. I have looked at Aftermath a few times, I think it sounds fun and I know I'll pick it up sometime. 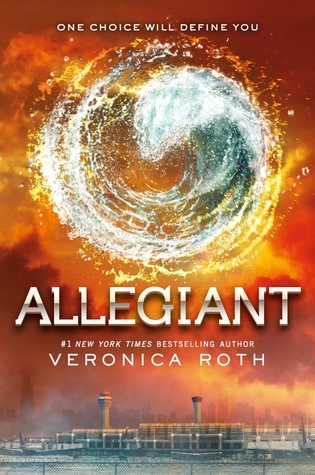 Allegiant of course! The Distance Between Us is super cute with a really witty dry humour, I loved it. Nice picks! You HAVE to read CINDER and THE FAULT IN OUR STARS. I thought THE DISTANCE BETWEEN US was cute, but just okay. It's the only think I've read by the author, so I don't know how it compares with her other books. Cinder and The Distance Between us are both amazing! Two of my all-time favorites. 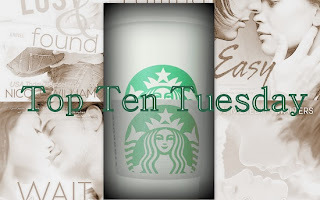 Allegiant is also on my Fall TBR. I definitely recommend The Distance Between us. 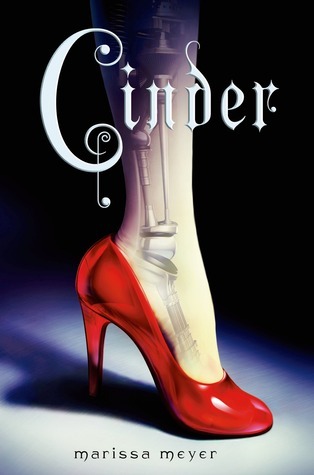 It was an amazing book, Cinder is worth a read as well. I can't wait to read Allegiant and The Distance Between Us. Awesome list! I am excited for you! Can't wait to hear what you think of all those goodies! Thanks! I am definitely going to try really hard to read those soon. I have wanted to for so long. You should definitely check out Pivot Point. I am so glad to hear that. I can't wait to read them. I'm so excited for Allegiant! OMG. Ok this list. YES to Vampire Academy, Cinder, Just Breathe, Faking It, and After Math! Those are some of my favorites right there girl! I can't wait for you to read them! And yes I need AMOT and Allegiant like WHOA! And after reading Edge of Never, I am so ready/nervous to read Edge of Always! Eeeeek! Seriously why have I not read faking it yet, why?? I need to!! I have the first too fate series books after you guys loved it! Need to check those out! 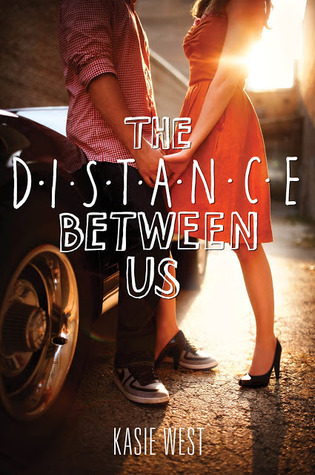 I also really want to read distance between us! I haven't read TFiOS yet either. I'm scared. YAY vampire academy!!! I loved it and I wasn't a huge vampire person before! I also want to read Cinder!! Also, apparently University Bookstore has a YA book club once a month and they have author of the book come and everyone gets to chat about it/with the author. Oct they're doing Cinder, in case you wanted to check it out. I never knew! I am so glad to hear both are good reads. Can't wait to check them out. I am so super excited for Allegiant!! I'm so glad you support my desire to read those :-) It makes me want to read them so much more. Squeal for AMOT!! I know, right?? I think I am going to squeeze it in this week since I have Finding It to review in October. I know I don't have to read it but I will use that as my excuse to actually do it! :-) Thanks for the heads up, I will have to check out the University Bookstore club.